CHAMPAIGN, Ill. — An international consortium of scientists is proposing a massive project to sequence, catalog and analyze the genomes of all known eukaryotic species on the planet, an undertaking the researchers say will take 10 years, cost $4.7 billion and require more than 200 petabytes of digital storage capacity. Eukaryotes include all organisms except bacteria and archaea. There are an estimated 10-15 million eukaryotic species on Earth. The proposed initiative, described in a paper in the Proceedings of the National Academy of Sciences, would require the cooperation of governments, scientists, citizen scientists and students from around the globe. The authors of the proposal compare it to the Human Genome Project, an international scientific research project from 1990 to 2006 that cost roughly $4.8 billion in today's dollars and generated an estimated return-on-investment ratio of 141-to-1. The Human Genome Project "involved a workforce of more than 47,000 people generating nearly $1 trillion in economic activity," the authors wrote. They are calling their new proposal the Earth BioGenome Project . "For the first time in history, it is possible to efficiently sequence the genomes of all known species and to use genomics to help discover the remaining 80 to 90 percent of species that are currently hidden from science," the authors wrote. A similar initiative, the Earth Microbiome Project, has enlisted the support of more than 500 scientists to sequence bacterial and archaeal genomes across the globe. The reasons for undertaking such an ambitious project are many, said Gene Robinson, a leader of the proposed effort, a professor of entomology and the director of the Carl R. Woese Institute for Genomic Biology at the University of Illinois. "Genomics has helped scientists develop new medicines and new sources of renewable energy, feed a growing population, protect the environment and support human survival and well-being," Robinson said. "The Earth BioGenome Project will give us insight into the history and diversity of life and help us better understand how to conserve it." 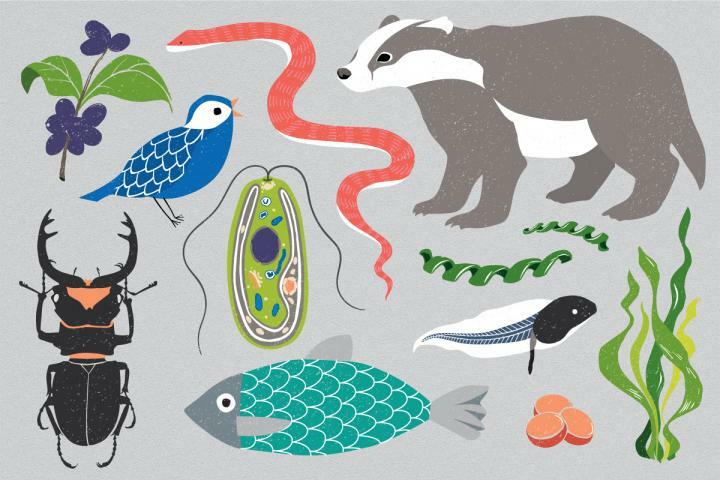 Scientists have so far sequenced fewer than 15,000 species, most of them microbes, the team reports. However, the cost of genome sequencing has fallen to about $1,000 for an average-sized vertebrate genome and is expected to continue to go down. New technologies, including terrestrial and underwater robots, and an increase in citizen-scientist initiatives and consortiums of scientists focusing on specific groups of organisms are speeding the process of data collection and analysis. "The Earth BioGenome Project will make use of existing resources and institutions whose mission is to procure and preserve the world's biodiversity," Robinson said. "For example, the world's botanical garden collections hold more than a third of all plant species." The EBP project will support and promote international protocols for data storage and sharing. A coordinating council with members from Africa, Australia, Brazil, Canada, China, the European Union and the United States will head a global network of collaborators. The council also will include representatives of several current large-scale genomics projects including the Global Genome Biodiversity Network, the Global Invertebrate Genomics Alliance, the i5K Initiative to Sequence 5,000 Arthropod Genomes and the Genome 10K Project. "The greatest legacy of the EBP will be a complete digital library of life that will guide future discoveries for generations," Robinson said. Robinson co-chairs the EBP Working Group with professor Harris A. Lewin, of the University of California, Davis; and W. John Kress, of the Smithsonian Institution. The paper "The Earth BioGenome Project: Sequencing life for the future of life" is available to reporters via EurekAlert.